World Patent Marketing Reviews A New Household Invention. Will Effortless Knife Be the Next World Patent Marketing Low Cost Success Story? The Effortless Knife brings back the joy of eating! World Patent Marketing, a vertically integrated manufacturer and engineer of patented products, announces the Effortless Knife, a household invention which brings back the joy of eating to people with compromised hand muscle power. “The Hand Tool and Cutlery Industry in the U.S. is worth $10 billion," says Scott Cooper, CEO and Creative Director of World Patent Marketing. "Stronger consumer sentiment is contributing to this industry's growth, and it will continue to pick up in the next few years with more innovation and modern product offerings." The Effortless Knife is a household invention that offers an easy and convenient way of slicing or cutting cooked food. The handle portion is made from plastic material which is comfortable to the hands. The outer surface of the handle offers improved gripping of the knife. The effortless knife could be handled easily in one hand. The beauty of the Effortless Knife is that the handle encloses an electric DC motor for driving the blade. The DC motor is powered by a rechargeable battery pack also installed within the handle portion. "The idea of The Effortless Knife came to me after watching my mother struggle with arthritis for many years,” says inventor Stephanie F. “It was heartbreaking. 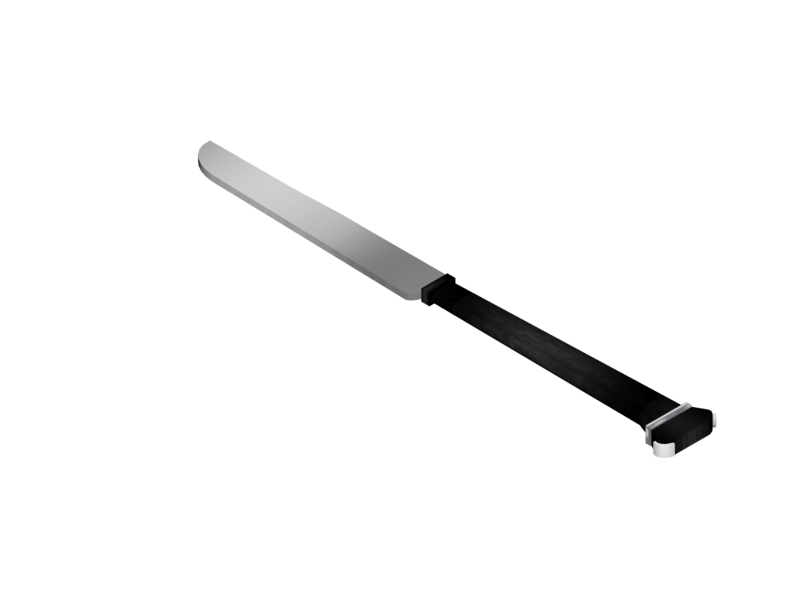 I designed Effortless Knife with dignity and independence in mind. This invention allows a person the opportunity to dine with dignity. Effortless Knife is intended for people with limited use and strength of their hands." 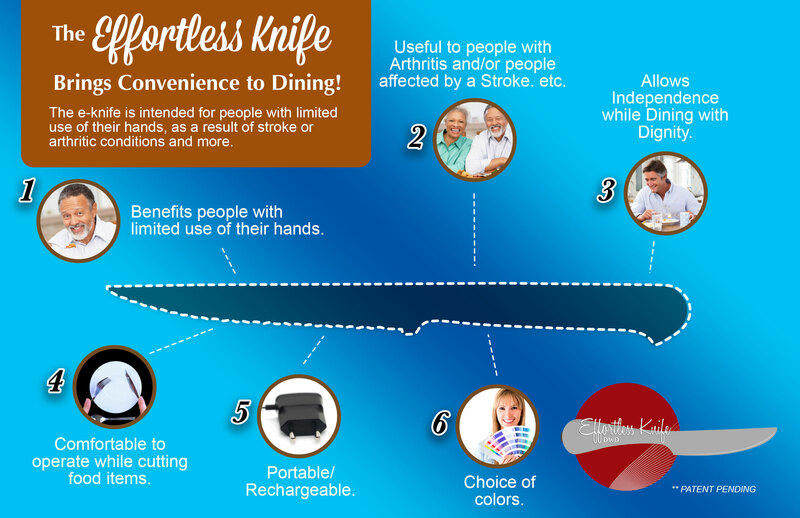 The Effortless Knife is an amazing household invention that will allow people with arthritis or those with limited use of their hands to enjoy dining again.